The story of Lego: The Hobbit is literally as you would expect, it's a retelling of Peter Jackson's trilogy (which is currently unfinished). The plot is boiled down to a very simple version, which follows the movie every step of the way, but is much easier to understand for the younger players. It has the usual slapstick comedy that all of the Lego games are abundant with, which is perfectly fitted to the family-friendly tone of the movies. As well as many levels, there is a hub world, meaning that whilst you aren't partaking in a story mission, you can explore Middle Earth. It's not to scale, obviously, but it's still a huge open area, with many different environments and familiar locations. Whilst exploring, you will find many side-missions to complete, which reward you with studs, and red and mithril bricks. The story is told through narration over the loading screens, and audio ripped straight from the movies for the cut-scenes and gameplay. It's great to hear the voices from the actual actors, but the sound clips often sound out of place. It's clear that they've had the background audio from the movie edited out, and it's not always very convincing. Sometimes a voice that would have worked perfectly in the movie just sounds too emotional for whatever is happening in the game. But it's undeniable that hearing everyone's voices on their respective characters is a nice touch, and it adds some much needed life to the Lego characters. It follows the plot of the movies pretty accurately, and there are levels based on most of the key moments. These levels have a few different and sometimes unique sections, but more often than not you're just hammering the attack button to destroy enemies and structures, to collect studs and loot. There are puzzles scattered throughout the levels, but more often than not, the game shows you exactly what to do with little markers directing you to every different section. It makes it ridiculously easy, and therefore eliminates any sense of fun or satisfaction. For some sections, the loot that you collect from broken Lego structures comes into play. You will either have to supply building materials to create a new structure, or give a specific item to an NPC in need. Sometimes you'll be short of loot, and more often than not it'll be in the surrounding area, but other times you'll just have no luck. It's a new gameplay mechanic though, and infuses some light RPG elements into the Lego universe. The game ends where the second movie ended, meaning that the game is essentially incomplete. 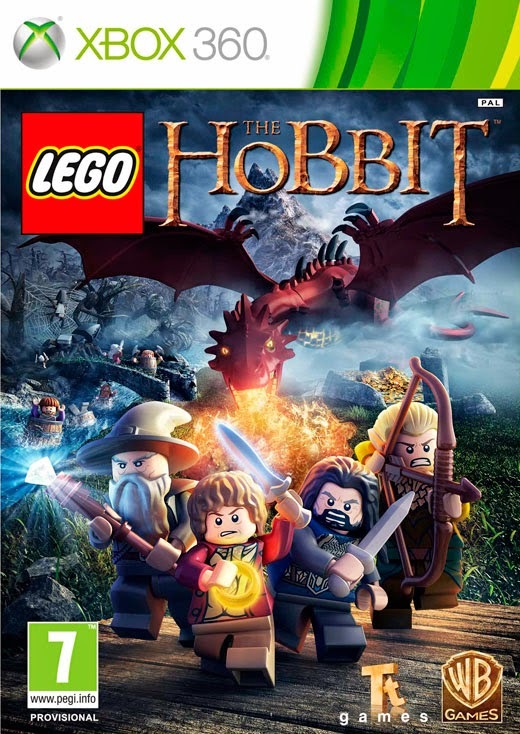 It's not called "Lego: The Hobbit Parts 1 & 2", which is probably what it should be called, so the fact that we'll have to wait till later in the year (when the third part will be released as DLC) to be able to finish the game is disappointing, but inevitable. It feels like they rushed it out though, and could have easily pushed the launch of the game back to coincide with the last part of the movie trilogy. People may enjoy the game now, but it's not the sort of game that you would necessarily want to go back to somewhere down the line. 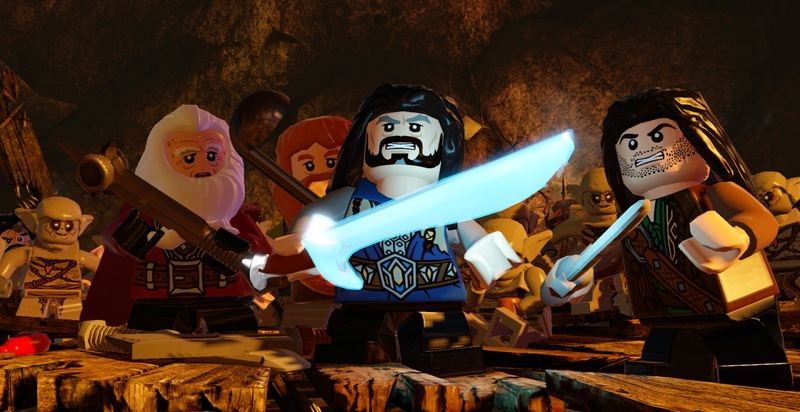 Like most of the Lego games, The Hobbit really shines once you have finished the story mode, and are given full access not only to the shrunk down version of Middle Earth, but also to the vast roster of unlocked characters. This means that you can finally access the many secret areas littered throughout the open world "hub" of the game, and start on the path to 100% completion. Completing the many side missions will earn you loot, studs and bricks, which can offer very beneficial gameplay enhancements, such as invincibility and stud multipliers. Like most of the Lego games, it rewards you handsomely for progressing. 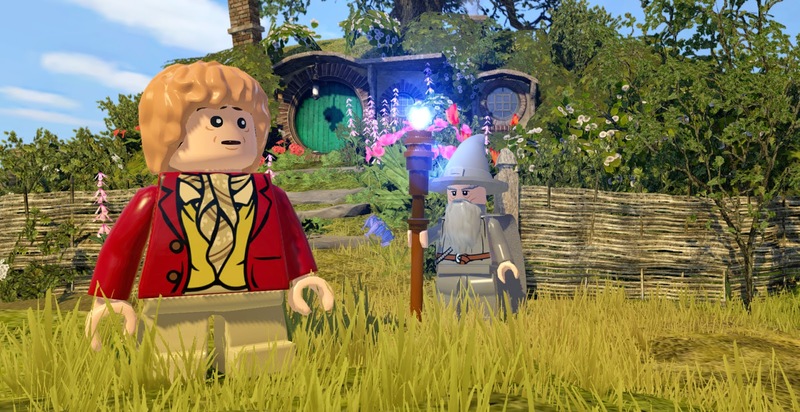 Lego: The Hobbit is a classic Lego game, for better and for worse. The repetitive story levels do become tiresome after not too long, but the expansive open world, filled with side quests and secrets, makes up for it somewhat. The same criticism applies though, as a lot of the side quests are essentially the same, with minor details changed. It's great fun for children and completionists though, and fans of The Hobbit will no doubt enjoy it. The small additions, such as the looting, are a step in the right direction for the franchise, but they need to seriously shake things up for the next instalment.